Pip Wilson bhp: I posted this image on my Facebook page a few days ago. I had wondrous affirmative comments which triggered my words of response below. I posted this image on my Facebook page a few days ago. I had wondrous affirmative comments which triggered my words of response below. I posted this image on my Facebook page a few days ago. I had wondrous affirmative comments which triggered my words of response below. I am touched by your responses and I thank you. It has also made me think. I often just post a few words online - generated by feelings - mostly. They could be meaningless to some/all? Sometimes to me as they are often just a tip of the iceberg in terms of thought / feelings ......... and this one ……. 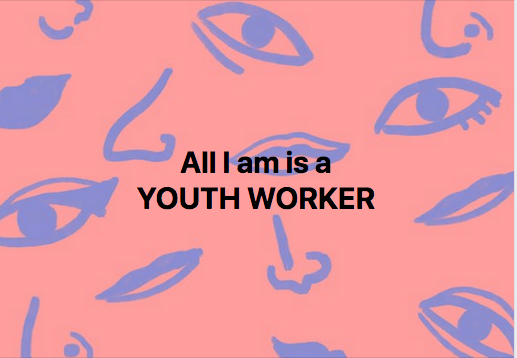 I suppose I was feeling that - at base I am a Youth Worker more or less than anything else. My only other certificate was for 'Swimming a breadth' at Secondary school. It is by being a Youth Worker, since I was 15 years old, that I have learned and grown into the beautiful imperfection I am now ......... I just had to learn as I stepped into successive zones of risk & the general uncomfortable situations. I had to change / learn to survive ...... and often that was cliff edge situations. In appreciation of you - thank you for stretching me here right now & many times over many years.